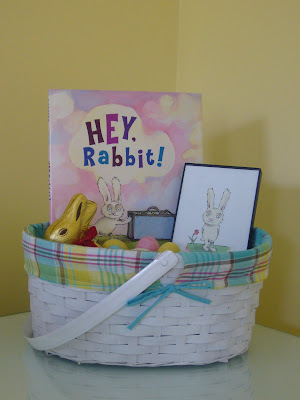 An Easter Basket, a large Lindt Chocolate Bunny, Easter Eggs and an original signed and inked watercolor framed drawing of Rabbit and the book Hey, Rabbit! 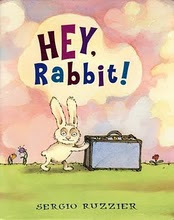 Visit Sergio’s website then come back here and tell us what other book besides Hey Rabbit! catches your eye. One winner will be chosen ! I will be using a random number generator to select the winner. Contest ends at 11:59pm CST on 3/24/10. If the prize is not claimed in 48 hours a new winner will be chosen.Contest open to U.S. residents only. Life In A House Of Blue will be receiving a copy of the book in exchange for this post. The Company/PR is responsible for fulfillment of prize. I think that Moon, have you met my mother looks good! Love You When You Whine sounds like a great book! You are rockin' my blogroll. I think The Little Giant looks really great as well! I love you when you whine, sounds like a good book. Would like to read more mole stories! The book -- Love You when You Whine. I like Amandina. I love the illustrations in these books. What a cool gift basket!! I'm interested in The Little Giant story. I like the book Moon, Have You Met My Mother?. More mole stories looks fun to read. Thanks for the chance. Moon Have You Met My Mother looks like a cute little book. The Little Giant (book) looks like a fine book for my grandson! Moon, have you met my mother? I like "I love you when you whine". "Love You When You Whine" sounds good. I think Love You when You Whine looks interesting. I think the book "Moon Have You Met My Mother" looks cute too! Every book looks so 'readable' but my favorite from the title alone is "I Love You When You Whine"! Another book that really caught my eye is "The Room of Wonders". It has even received a Parents' Choice Gold Award.
" moon, Have you met my mother?" is interesting. I think that teaching children poerty improves cognitive development. 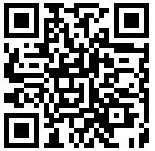 Email subscriber to Life In A House of Blue! We would enjoy reading More Mole Stories! I'd like to purchase "More Mole Stories" for my grandson. I would like to get "The Room of Wonders" for my grandchildren. Thanks! The Love You When You Whine looks cute! I like Love You When You Whine. thanks for the chance. :I Love You When You Whine" sounds like a book I'd love for my little grandson. I would like the Room Of Wonders book. The Room of Wonders sounds like a book I would LOVE -- Pius Pelosi the pack rat!! It could be me. "Moon, Have You Met My Mother" sounds cute. Aww, I love the one called "I love you when you whine". That's so adorable. I have you on my blogroll at Vergingon40.blogspot.com. Why Mole Shouted looks cute. I really like the Little Giant! I also like the book;Moon,Have you met my Mother? The Little Giant looks like a wonderful book & a great stepping stone to important parent-child discussions! I love you when you whine is great. Thanks for the chance. The Little Giant book sounds interesting. i like more mole stories! March 18, 2010 at 1:02 PM This comment has been removed by the author. I already love the book Amandina. I read it when it first came in at the library I work at. I would love to have my own copy. The Room of Wonders. I just love the title. Might have to hunt down a copy to read now! I like the book "Why Mole Shouted and Other Stories"
The Little Giant sounds good and it is has a great review from a teacher. "Love You When You Whine" looks cute!